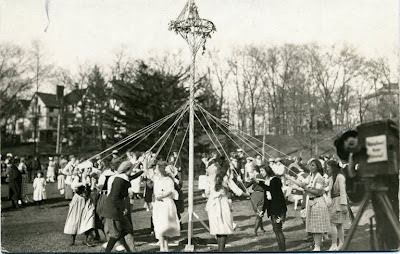 For some reason, May Day always reminds me of Wellesley. Of course, by the time I went there, we no longer danced around poles in cool dresses, but whatevs. If you love old pictures of random stuff, check out all the May Day images from the College Archives, from whence the above was lifted. Sheer awesome.